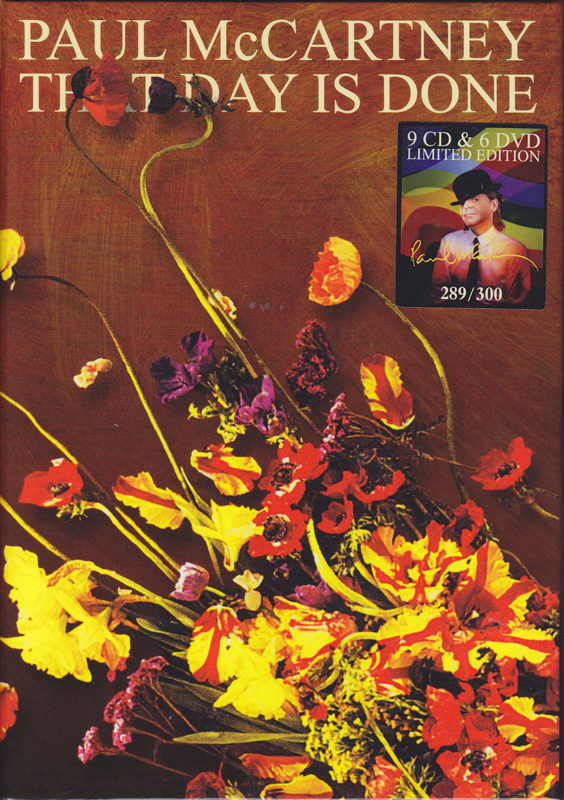 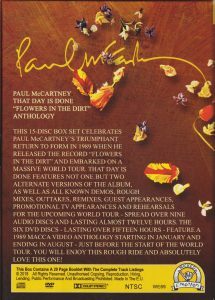 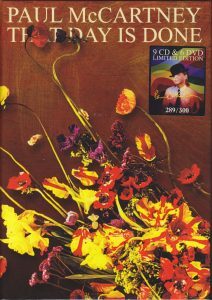 This 15 Disc Box set celebrates Paul McCartney’s triumphant return to form in 1989 when he released the record “Flowers In The Dirt” and embarked on a massive world tour. 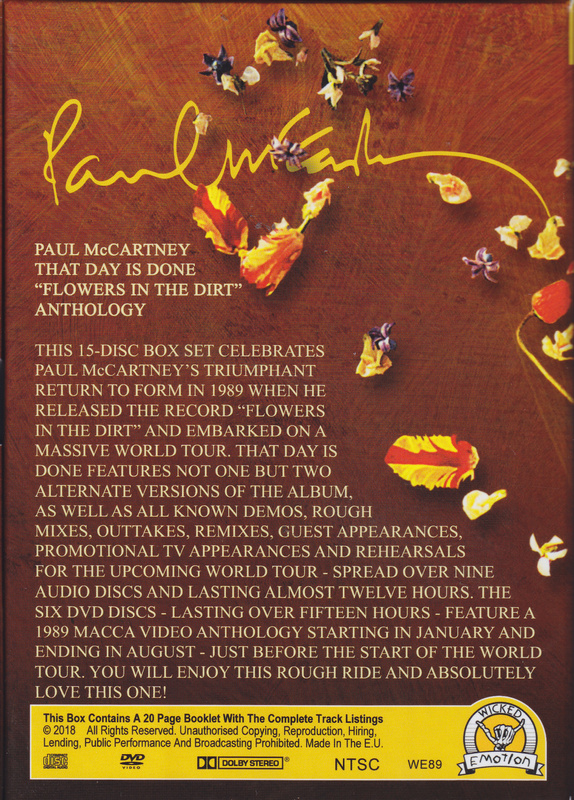 That day is done features not one but two alternate versions of the album as well as all known demos, rough mixes, outtakes, remixes, guest appearances, promotional TV appearances and rehearsals for the upcoming world tour – spread over nine audio discs and lasting almost twelve hours. 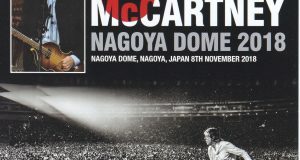 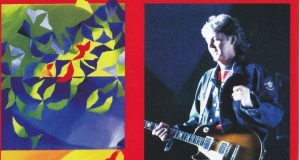 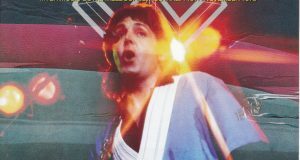 The six DVD discs – lasting over fifteen hours – feature a 1989 Macca video anthology starting in January and ending in August – just before the start of the world tour.